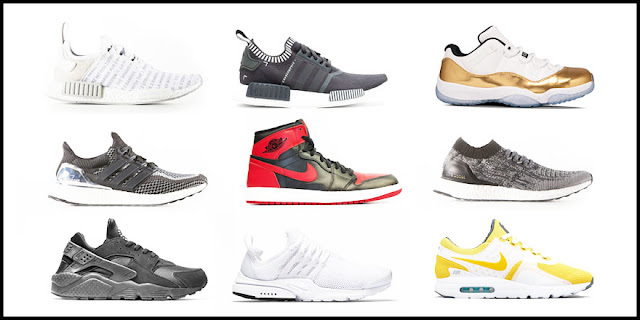 Calling all sneakerheads and sneaker addicts! Check out Manila Sneaker Expo on November 20, 2016 from 1pm to 8pm at SMX Aura Premier. 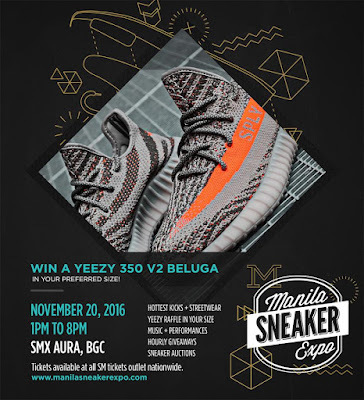 Like the previous events, Manila Sneaker Expo 2016 will feature Manila's hottest sneaker & streetwear mechants (like Sole Republic, Good Guys, Kicks To Go), sneaker auctions, and a chance to win a Yeezy 350 V2 Beluga in your size! See complete list of merchants HERE. The event also allows fellow sneakerheads to buy, sell, or trade their own collection (limit of 3 pairs per attendee).